Each divorce is unique and has its own set of challenges. While some things are unexpected or unavoidable, others are commonly seen mistakes in Florida divorces. To help your own case, be sure you don’t make any of these mistakes. One of the most common mistakes in a divorce is the failure to seek quality legal advice. Friends and family members mean well when they share their experience with divorce, but it’s important that you speak to a Boca Raton divorce attorney yourself. Once again, because every divorce is unique, and many are complex, what applied to your Uncle Joe’s divorce may not be applicable in yours. The only way to properly protect your rights and assets is to speak with a family law attorney yourself. It’s understandable that spouses want the entire process to be over and hopefully never speak to their ex again, but you have to push your feelings aside during the divorce itself and be open to communication. If you fight over every little detail or refuse to compromise and work with the other side’s attorney, you may be making a terrible mistake. It’s important to keep the lines of communication open and keep a clear head so you can make sound decisions. Another major mistake many couples make when divorcing involves the IRS. It’s important to consider this when retirement accounts are part of the marital distribution. You could find yourself making inflated payments or facing a hefty tax bill the following year. The subject of taxes may be on people’s minds more in 2019 as new tax laws go into effect that directly impact alimony payments in Florida. For settlements reached in 2019 and beyond, alimony will not be tax deductible for the payor, but it also won’t be taxable income for the recipient. This can be good or bad news, depending on whether you are the recipient or the payor. If you don’t change your will or beneficiaries on trusts, life insurance policies, etc., they may be entitled to your money and/or personal assets in the event you die. Beneficiaries named in wills do not change because of a divorce. If you aren’t honest with your attorney from the start, it only hurts you in the end. Your attorney can only work with what information is presented. If you mislead them and fail to disclose everything, it can eventually do irreparable harm to your case. It’s a guarantee that if you start dating during a contentious divorce, your soon-to-be-ex will use that against you. Even if it’s only making him or her angry, that anger can make it even harder to resolve your outstanding disputes. Dating can also cause confusion with your children or make a difficult situation even more challenging. 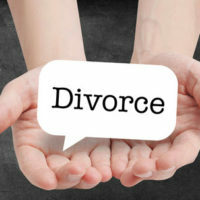 If you need a Boca Raton divorce attorney, the Law Offices of Schwartz | White specializes in divorce and all other related family law matters, like child custody, child support, and alimony. Contact our office at 561-391-9943 to schedule a consultation.